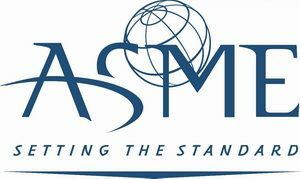 Sosnovy Bor Metal Works LLC, one of the production sites of the Safe Technologies Industrial Group, successfully passed an inspection audit of the American Society of Mechanical Engineers (ASME) on February 19-20, 2018. On the first day, the inspectors were provided with a complete documentation package, including a Quality Control Manual written in accordance with the requirements of the ASME Code. The Commission made an analysis of the design documentation of the demonstration vessel, after which a joint discussion of the decisions was held. The second day included the actual verification of the implementation of the requirements of the developed Quality Control Manual, including the organization of the production process (with the welding procedures on the demonstration vessel), the work of the quality control service, the NDT laboratory, the procurement service and the storage facilities. As a result of the inspection, the Commission decided to recommend the National Board of Boiler and Pressure Vessel Inspectors to issue the ASME certificate to Sosnovy Bor Metal Works. Thus, SMZ has been officially confirmed the compliance with the requirements of the ASME B&PV Code, Section VIII, Division 1 & Division 2 on the design and manufacture of pressure vessels, construction of pressure vessels and parts of them, to be stamped with the ASME Certification Mark with the «U» or «U2» Designator. Certification according to ASME standards propels the production of SMZ (ST IG) to new heights as the recognized leaders in the manufacture of equipment for the petrochemical industry in Russia.